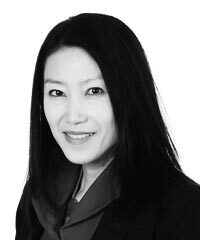 At MSCI, Linda-Eling Lee leads a team of research analysts located in 12 offices around the world who are dedicated to identifying risks and opportunities arising from material environmental, social, and governance (ESG) issues. The team covers more than 5,000 companies and more than 10,000 issuers linked to 260,000 individual fixed income securities. She chairs MSCI’s ESG Ratings Review Committee, which oversees all ESG-related content and methodology. Prior to joining MSCI ESG Research predecessor Innovest, Lee was Research Director at the Center for Research on Corporate Performance, developing academic research at Harvard Business School into management tools to drive long-term corporate performance. Previously, she was a strategy consultant with Monitor Group in Europe and in Asia, where she worked with Fortune 500 clients in industries ranging from beverages to telecommunications.